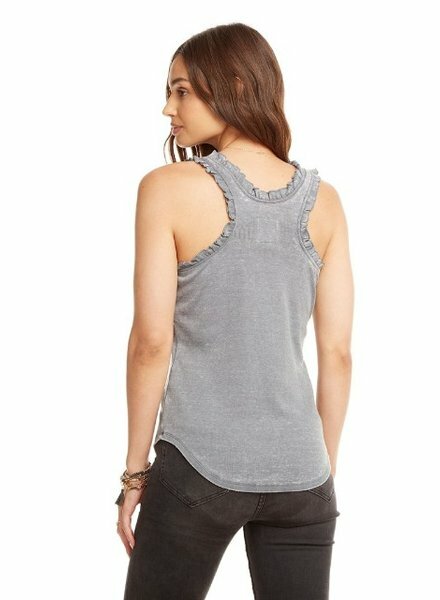 Sure to be a favorite in your closet, the Foster sleeveless top features a linen fabric has been pre-washed for extra softness and a by-design frayed hem detail. 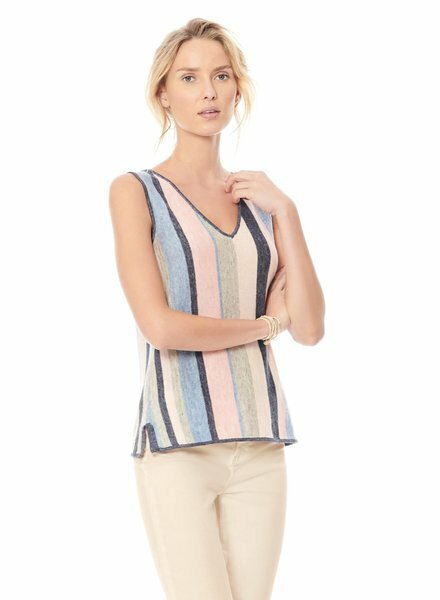 Pack this cool and easy top on your next vacation or break it out on the first day of summer. 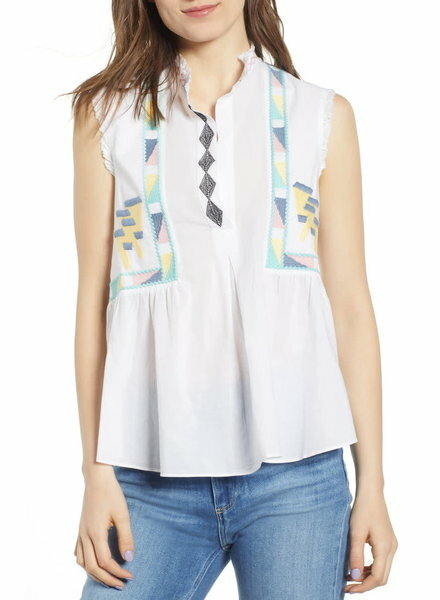 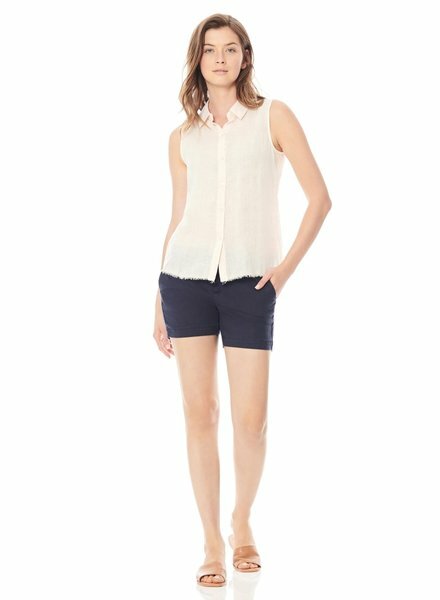 Zadig&Voltaire women’s white blouse, sleeveless, with pleats and embroidery.